01:00 The whole of the start of the episode is different! In the cartoon, it starts with a nighttime discussion between Jeremy and Aelita, then a class with Ms Hertz, before Ms Meyer's quiz. In the script, we see a scene in the factory that takes place first of all. Day breaks on the abandoned factory, its reflection visible on the surface of the river. There are some reeds in the foreground. Suddenly, flashes of light appear behind the broken windows of the control room, accompanied by an electrical crackling. In the control room, on a dilapidated electrical panel, a short-circuiting coil of copper wire is sparking. A black spectre comes out of the coil and circles around the panel's components before disappearing. Suddenly, the lights in the room turn on. Beside the electrical panel, indicator lights light up one after the other. In time with their turning on, an OFF MACHINE NOISES successively starting up rings out. In the machine room, the ancient conveyor belt begins to move. One after another, the articulated arm machines that make up the production line come into action. In a repetitive fashion, they seize, rivet, bolt, weld or stamp the empty air along the rolling belt. In a CREAKING CHORUS, the factory comes to life. In the corridor, the manometers on the boiler climb to maximum pressure readings. A jet of vapour springs from a rusty conduit. On the main floor, the lift door begins to open and close NOISILY. Erupting from the reeds, a flock of startled ducks flies away. Their scared QUACKING superimposed over the ECHO that escapes the factory like a GLOOMY ROAR OF LAUGHTER. This scene didn't take place until 5 minutes into the episode, before the heroes arrived at the factory. 10:40 Yet more slight cuts lowering the violence of XANA's attacks. Jeremie rolls. But he's now within reach of the articulated arms for the conveyor belt. A circular saw goes for him, but he manages to avoid it just in time. The saw notches the concrete floor with a deafening crunch. 15:40 Aelita doesn't get rid of the Krab in quite the same way, nor in the same location. Aelita runs at full speed to escape the Krabe that's chasing her. She's completely out in the open. She reaches the edge of the plateau. She has no options for escape. The next plateau is too far away for her to jump. Ignoring a laser beam that pulverises the ground a few centimetres away from her, Aelita closes her eyes and concentrates. A rock bridge materialises in front of her leading over the digital void separating her from the next plateau. Aelita just makes it onto the bridge when a laser explodes right where she had been seconds before. Aelita sets foot on the other plateau and continues running. The Krabe steps onto the bridge behind her. Suddenly, the bridge dematerialises. The Krabe falls into the digital void. Breathless, Aelita stops for a moment to watch the Krabe disappear into the deep of the digital void, before continuing to run, following XANA's pulsations along the desert ground. 21:40 Some writers obviously don't have the same idea of a tower as others do. INT. LYOKO / ACTIVE TOWER. In the tower, isolated fro the world by a padding of silence, Aelita advances across a bridge. She accesses a circular platform in the centre of the tower. As soon as she does, a halo of light surrounds her and lifts her up to the floating computer interface. Levitating in front of the interface, Aelita reaches out her hand and types the code "Lyoko" on the keyboard. Still levitating, she spreads her arms and... BLAST!... The image dissolves into a blinding white light. 07:50 A scene jumped after the discussion between Odd, Jeremy and Aelita. Odd nods and the two boys leave the room. We stay with Kiwi, who seems to be sleeping peacefully. Suddenly, a small noise makes him jump. Kiwi, still sleepy, looks around him, surprised, and widens his eyes when he notices the translucent N2O form coming out of an air vent. Kiwi starts GROWLING. The form starts to make its way to the door, but Kiwi cuts it off, still GROWLING. The form then dissolves into the poor dog who begins to LAUGH, or rather make strange choking sounds. Kiwi struggles. After a few tries he manages to run and escape the form. He ends up escaping through the bedroom door (which had been left open) but is knocked out by the door closing. BOOM! He falls unconscious. The form suddenly splits into four distinctive forms. There's little doubt about Xana's targets: The FOUR HEROES!!! (At least, that's what the viewer can conclude!). 10:20 The laughing gas doesn't enter Odd's scanner at the moment of his virtualisation. As such, Odd isn't frail and exhausted when he arrives on Lyoko. His fight against the first Blok happened differently because of this. He destroyed the second in the same way...with the slight difference that the monster shot rings of fire, which wouldn't normally happen until season 2! The Bloks advance side by side along the pathway, backs to the hollow mountain. In unison they shoot their lasers at Odd, who is forced to retreat to the Oasis on the plateaux. Odd is hit by a laser. He grimaces in pain. He glances behind him to see what he can do. He spots a plateau up above. Gaining momentum, he manages to jump to this plateau. The Bloks continue their chase to the foot of said plateau. Odd takes advantage of the moment to leap over the two Bloks and get them from behind. He lands with a roll and immediately targets one of the Bloks, which is now generously showing us the face with the sign of Xana on it. Struck right in the heart, the Blok disappears. The other monster turns to show its ring of fire side. Odd's eyes widen. He needs to get out of there, and fast. He runs like mad towards the hollow mountain (now on the right side of the path in relation to the remaining Blok). The circles of fire barely miss him each time. Odd finally arrives at the tower safe and sound. Odd was weakened however following “his loss of life points” later in the labyrinth. The gas entering the scanner in the episode undoubtedly served to tidy up this continuity error. 20:30 Small deleted scene during which Mrs Ishiyama tries to help her daughter. Perhaps the father's actions in helping his wife rather than his daughter weren't ethical enough... Hehehe. Sprawled on the floor, Yumi and Ulrich are suffocating, gasping for air. They won't last much longer. Yumi's parents and the principal, panicked, are hovering over them to encourage them and help them, to no avail. Yumi's mother addresses the principal. Yumi's mother: Get help! Water! QUICK! The Principal runs off, but it's clearly too late. Yumi and Ulrich are already losing consciousness. Yumi's mother rushes and supports her daughter's head. But she herself is contaminated by the gaseous form. She begins to LAUGH... and quickly CHOKE. Her husband hurries to her and forces her to let go of her daughter before taking her in his arms. 23:00 The episode would have concluded on a line from Sissi which would have let us know much earlier on (than episode 64 “Double Trouble”) that returns to the past don't completely erase memories. Before the public's laughing faces, she slaps her forehead, wearing a strange expression. We END on Yumi tenderly watching her reconciled parents laugh together. 03:10 When Theo arrives at Kadic, all the cold lines delivered by Nicolas in the cartoon are from Herb in the script. 03:25 The soccer match scene was supposed to be slightly more prolonged and Theo scored a goal for Sissi's team. Following this was the scene where Jeremy spoke with Aelita that was at the beginning of the finished episode. On the other hand, the later scene in the cartoon where Aelita travels through a Way Tower wasn't in the script. Shot of Herve pouting. Ulrich and Yumi exchanged a look of amusement. Odd (off) (worried): Ulrich, what are you doing? Distracted, Ulrich turns, but Theo's ball is already in the goal. On the sidelines, Sissi throws her arms up to the sky with excitement. Odd: Hey, do you know where Jeremie is? Ulrich: Chatting with Aelita, as usual! 06:10 The XANA attack began to manifest around the evening meal, while some of the heroes' lines were cut. Theo (charming): OK... now that's funny! Shot of Herve fuming as he listens. Amused, Nicolas also laughs, but Herve glares at him. Nicolas shuts up.Shot of the heroes who haven't missed any of the conversation. Odd (jesting): And I bet we're going to stop him from cheating! Accomplices enjoying themselves, Ulrich and Odd high five. The three friends stand up to bring their trays to the industrial-sized kitchen. They go along the wall without seeing that black wisps are forming on it where the electric wires are set. The wisps discreetly move from wall socket to wall socket. 09:30 The first shot of XANA's attack was simplified while Milly and Tamiya's intervention was delete. From there, Ulrich is the one who warns Jeremy about XANA's attack, and not Aelita like in the show. Odd: Leave your trays! We'll take care of them for you! Yumi and Jeremie walk away from the lunchroom and enter the dormitory. Odd digs into one of the two sclices of cake with his fork. Suddenly, Milly, Tamiya get up to approach Ulrich and Odd with a simper. Milly (playing big): Hi boys... How's it going? At that same moment, a muffled explosion (Boom!) sounds out, making everyone jump. Silence in the cafeteria. Worried, Ulrich and Odd immediately get to their feet (and Odd opens his mouth wide). Around them, the walls of the prefabricated building start to tremble. On the kitchen shelves, trays, plates, pans and glasses vibrate... Some fall and break. Milly and Tamiya cling to each other. Milly and Tamiya (panic-stricken): What's going on? Terrified, Ulrich and Odd look at each other. Ulrich, as uncertain as his friend, hesitates... When suddenly, giving way beneath the electric force field, a gas pipe in the kitchen bursts! A very worrying hissing sound warns the heroes. Odd hurries to close the supply duct while Ulrich grabs his phone. Yumi and Jeremie are conversing with Aelita. Yumi is interrupted by Jeremie's phone ringing. He picks up calmly, but his expression quickly changes to a panicked one. Jeremie (off): What? What bad thing? Shot of Ulrich on the telephone, he's not speaking very loudly. Ulrich: There are short-circuits all over the walls... It could very well be XANA...! Worried, Jeremie turns towards Aelita's screen. Jeremie: Aelita! Can you check on Lyoko? I'm launching the scan to see if XANA activated a tower! Voyage through the cables at the speed of electric pulsations. Suddenly, the camera surfaces above the world of Lyoko. It centres on one of the four worlds, the ice. It targets a deactivated tower (blue) and approaches it. Aelita exits the tower running. She suddenly freezes because all over the ground there are red pulsations characteristic of Xana, signalling that the computer has already taken control of the cables. Aelita (worried): Jeremie, there are pulsations! Xana really has gone on the attack! Strong, rhythmic and quick, the pulsations converge in the same direction. Aelita follows them with her eyes, worried. Aelita: I think they're heading towards the forest! Very worried, Jeremie stands and turns to Yumi. Jeremie: I'm heading to the factory! You go find Ulrich and Odd and meet me there! Yumi nods. The two heroes hurry out of the room. 11:00 The scene where Yumi warns the principal (cartoon version) isn't present in the script. 13:30 At various moments in the episode, XANA's attack was better set out in the script. Notably we see the rafters in the cafeteria become incandescent, showing that the building is threatening to collapse at any moment. Coursing with electrical spasms, the iron girders are becoming an incandescent yellow. QUICK SHOT OF ULRICH: The beams melting under the heat, beginning to fold in the middle. Ulrich looks at them, frowning. 15:15 Before the students prisoner in the lunchroom use the tables and chairs to stop the roof from caving in, XANA's attack was again more detailed in the script. Short-circuits are now sizzling in all four corners of the walls. The heat is suffocating. In the industrial canteen and the dining room, Ulrich, Odd, Theo and Nicolas use dishcloths to put out the small fires that are starting to spring up because of the short-circuits. Odd has just finished putting on out when another starts right next to it. Odd panics and backs away. Odd: Is this an epidemic or what? But at that moment, he's interrupted by another quaking of the walls. Odd straightens up, panicked. Beside him, Theo does the same. They realise that this time, it's the ceiling that's affected by the shaking. Theo (panicked): It's going to cave in! Odd: Yeah... We have to reinforce it! Theo: You're right! We just have to use the tables and chairs! 15:30 It was Ulrich and not Theo who dives to tackle Sissi onto the ground to save her from flying boards. 16:00 All of the action on Lyoko was treated differently in the episode to in the script. Aelita and Yumi don't have to separate to take a path each, and they weren't faced with Krabs, but Megatanks. One of XANA's actions on Lyoko was completely done away with between the script and the episode. It's for the best that Aelita and Yumi avoided it! Yumi has joined Aelita. The two run over bridges to go from platform to platform and approach the one the activated tower is on, which can be seen in the distance. Yumi: Everything's going well, Jeremy... We're making quick progress, there's no monsters in sight! Jeremie, worried, looks at the fast-moving green and yellow icons of Aelita and Yumi. There are no red monster icons. Jeremie (worried): I can see that! I've got nothing on my visual either... It's too easy! Xana's preparing something! Stay alert! The girls have already progressed. They find themselves halfway to the activated tower. Running ahead, Yumi leaves a platform to continue onto a bridge. Aelita follows her and... That's when the start of the bridge breaks away from the platform and starts to tip into a vertical position. Aelita, who is in behind, is the first to realise. Aelita (worried): Yumi!? Something's happening! Yumi turns and... Starts to fall backwards due to the angle of the bridge. Windmilling her arms, she tries to save herself but it's impossible! Yumi and Aelita fall to the floor and start to slide. They SCREAM. Yumi tries to grab onto everything she can (rocks, roots...appearing in the environment) but she's sliding fast. Being carried away, Aelita pushes her behind. Aelita (shouting): Yumi look out! Yumi glances in front of her. The end of the bridge is about twenty metres away. Jeremie (off, yelling): Yumi!!!! Do something!!! Yumi: Aelita, get ready to stop! Grimacing, Yumi manages to open her fan. And with a swipe, plants it between herself and Aelita. Aelita's feet come to rest on the fan while Yumi hangs from her hands. Their crazy slide is stopped for the moment. The two girls let out a deep sigh... But the fan begins to edge free. Yumi is the first to feel it, suspended there. Yumi (very worried): That's not good! Panic-stricken, Yumi slowly and cautiously tilts her head to look down. Her POV: the platform below the bridge is about a dozen metres below. Yumi makes a worried grimace. Yumi: It's high but we have no choice! We need to jump, Aelita! You go first! Taking a deep breath to give her courage, Aelita jumps into the air. And when the fan comes free, Yumi falls too. She lands in a roll on the platform ten metres below. At her side, Aelita is unconscious and unmoving. Yumi painfully stands up and helps her, worried. Yumi: Aelita! Are you OK? Jeremie (off): Yumi! Without your fan, you're unarmed! Aelita: And no bridge off this platform! Yumi looks worried as she sees this for herself. Aelita and Yumi go from one side of the platform to the other. Worried, Yumi turns to Aelita. She's on her knees. She closes her eyes in concentration. Jeremie (off, worried): Aelita, don't do that!! You'll lose 50 life points! Not listening, Aelita continues to concentrate. Yumi shakes her head. Yumi: We don't have a choice, Jeremie! Formed by Aelita, a sort of fallen trunk appears to link to the next platform. On his screens, Jeremie watches with horror as Aelita loses 50 life points! Jeremie (for himself): Aelita! NO! Your life points! Yumi helps Aelita, fatigued by the effort she just made, to stand up. Yumi: Quick, before your tree trunk disappears! Jeremie (off) (shouting): Watch out!! A Megatank! On alert, Yumi spots the elliptical laser of the megatank coming straight at her. She doesn't have time to react. The shot hits her. Yumi contorts in pain. Electrical influxes cover the affected arm. Despite the pain, Yumi manages to straighten up and follow Aelita, who is going around the megatank as it slowly closes. The two girls manage to reach the new bridge. Rotating slowly, the megatank rolls after them. The two girls (who are three or four platforms away from the one with the activated tower) run across the bridges to get from platform to platform. The rolling Megatank approaches. Yumi, turning her head, notices it. She pushes Aelita in front of her and onto the next bridge. Yumi: Go! Don't worry about me!! Aelita jumps onto the bridge and continues. Yumi stops, turns to face the monster and close her eyes. An aura emanates from her and... A tree trunk rises into the air. The megatank advances and opens to fire... Yumi suddenly reopens her eyes. The trunk drops and creates a shield between the laser and Yumi! Yumi continues running after Aelita. The megatank closes again and follows her, inexorable. Aelita and Yumi are on the second-last platform. Aelita looks up... Her POV: One more bridge and she'll be on the platform with the activated tower. Aelita takes another step but a megatank laser hits the ground just in front of her. Aelita has to jump back. She's safe and sound but the Megatank continues firing at the start of the bridge to stop her from accessing it. Aelita and Yumi exchange a look. Aelita: It wants to keep us here! Yumi: On three, you run...! Aelita, frowns, worried, but Yumi starts counting. Aelita runs towards the bridge without a thought for Yumi, who runs right at the Megatank! Leaping towards it, she causes it to topple off the platform and fall. Aelita and Jeremie (in/off) (mad with anguish): Yumi!!!?? No!! Yumi falls through the digital void, hanging onto the Megatank. She disappears. Jeremie (off): Yumi! Come in! ANSWER ME! Jeremie (off): The tower! Go! Yumi will definitely appear again! Aelita starts running towards the activated tower. Jeremie hides his face in his hands. Jeremie (for himself): This can't be possible... It's a nightmare! A hand appears on the edge of the plateau. It's Yumi's. Her face appears... and she looks around before suddenly seeing Aelita running into the activated tower. Yumi (out of breath): Tell Ulrich and Odd to hang in here, Jeremie! Aelita's in the tower! 19:00 A small deleted scene in which the firefighters had to try and make a hole in the roof. From there, the effects inside the cafeteria were once again better represented. The whole interior of the lunchroom is now short-circuiting. Small explosions or fires are appearing all over. The sounds they are making are frightening. The collapsed roof of the building presses on the doubling of the wall. The wooden table tops begin to catch alight. Odd and Ulrich watch the spectacle with anguish. 01:00 In the script, the arachnoid nanovirus was revealed immediately after the goo appeared. 02:50 The scene where the nanovirus was spilt was cut short. The camera zooms in further and further, until we have a microscopic view. The nano virus is fighting, extracting itself from the goo, and starting to spill onto the table. - nano viruses climb up a sort of enormous pink rock. - Zoom out: it's Ms Hertz's hand, resting on the table. - Zoom out: it's a biscuit a student left on the table. The girl takes her biscuit and bites into it. - Zoom out: it's Ulrich's nostrils. A number of similar scenes were cut from the episode (like the one where Ulrich drinks from Herb's can). We won't list them all here. 08:10 The flashbacks are often longer in the episode, and the chosen scenes aren't the same. Here, the scene from episode 8 “End of Take” where Odd teases Ulrich about the fact that he's going to spend a week on a film set with Sissi, which “could be the beginning of a big romance,” was instead in the script the scene where they watched James Finson's film. A scene where Ulrich remembers a moment with Yumi is also added later in the episode. 02:50 In the script, a spectre was supposed to be visible around Odd's headphones, indicating XANA's attack earlier on. He plays with Kiwi as if he's making him “dance”. Odd (singing): SO, SO GLAD WHEN YOU'RE REALLY BA-A-A-AD! But what Odd doesn't see is the shadow a spectre undulating around his headphones... Suddenly, Odd makes a slight movement of stupefaction, like a sort of incredulity. His gaze becomes fixed and his body stiff. 06 :20 A scene was cut when the ambulance arrived to take Odd. The exam is due to start and the teacher hands out the test papers. He stops suddenly, surprised to see three empty places. Teacher: Where are Ulrich, Odd and Jeremie? Has anyone seen them this morning...? No response from the classroom. Suddenly, we hear the SIREN of an ambulance. The teacher frowns. Teacher: What's going on here? The teacher turns to Herb and gives him the stack of papers. Teacher: Herb! Hand these out! I'm going to see what's going on! Herb takes the stack of papers. The teacher leaves and Herb begins to hand out the papers. Of course, once the teacher has left, all the students raise BEDLAM. Herb, taking his role very much to heart, frowns. Herb (thinking he's the teacher): Quiet! Immediate reply from all the students. Students: Booooooooooooooooo! Teacher's pet! Teacher's pet! Teacher's pet! 07:00 The script showed us a principal who was much less compassionate to Ulrich's sadness. The principal: Ulrich, get away from that ambulance! Ulrich shakes his head “no”. The Principal insists. Principal: Ulrich...! I could expel you! Ulrich sits by Odd's bedside and looks at the principal determinedly. Ulrich: I don't care. I can't let him be taken away like this! Ulrich: We've got to get to the activated tower, fast! Aelita approaches him and places her hand on his arm to reassure him. Ulrich snatches his arm away and glares at Aelita. Ulrich (stressed): We don't have time! The tower! Aelita: Panicking won't help a thing! Aelita smiles at him and holds out her hand. Ulrich smiles back...then takes her hand, and the two of them start to run, following the pulsations. 14:30 The Bloks were supposed to hide behind rocks, and not come from the rocky paths. Ulrich: ...No monsters anywhere! That's suspicious. As the two approach the activated tower, a funny, muffled sound is heard. Ulrich signals to Aelita to not say a word and listen, but he stumbles on a sort of rock. The rock rises suddenly... as well as three others! Four Bloks now stand around Ulrich and Aelita... Aelita panics. The whole episode was supposed to take place in the Forest Sector, Aelita recuperating the energy from the first three Way Towers outside of screentime. Also, the Kankrelat chase and the Blok blockade before the last tower were supposed to have been in the Forest. The scene where Aelita recuperates the Tower's energy isn't present. 02:40 The Game Boy game wasn't meant to be called Tetrix Annihilator, but Alien Annihilator. 04:30 During Jeremy's transfer, the scanners were supposed to act in...a bizarre manner! In the scanner room, the chamber Jeremie just disappeared into lights up like a Christmas tree and begins to flash... before going out completely, as if the power had tripped. The two other scanners do the same. 06:00 A small deleted scene, in which Aelita sets off to the Way Towers. While Odd continues off, we move to Lyoko, where Aelita is still running towards the first way tower. 09:20 A ruse by Aelita as old as Lyoko was cut. Slowly so as not to be noticed, Aelita picks up a rock from the ground, and throws it forcefully away. Lured by the NOISE the rock makes when it lands, the kankrelats hurry in the opposite direction to the young girl. Aelita takes advantage of this to "exit" her hiding place and start sprinting for the tower, all while looking carefully around her... Ulrich's voice is heard again. Ulrich (off): Watch out, Aelita!!! 10:00 The scene where Aelita hangs onto a platform was simplified in the animated version. The original touched more on the interesting elements in the conceptualisation of the Forest Sector. 15:00 The Bloks guarding the Tower in the Mountain Sector in the episode are present in the script, but it's Kankrelats chasing Aelita and it's in the Forest Sector. Ulrich: Sorry I'm late, Aelita... (To the others) Hey Odd, how'd you do it? Other shots fire, which Ulrich deflects, all while helping Aelita to stand up. The kankrelats hit by Ulrich's sabre, or by deflected lasers, disappear. Odd (off): A lot of the credit should go to Alien Annihilator, huh! 19:00 In the script, the situation was much more critical for Jeremy before Aelita retrieved the memory from the laser tower. Also, after killing the Kankrelats, Ulrich clears away the Bloks guarding the tower. Supporting Aelita, Ulrich helps her run along the path, all while looking everywhere in order to avoid a nasty encounter. Aelita seems particularly affected. Ulrich turns to Aelita and looks into her eyes, trying to be persuasive. Aelita lowers her gaze and nods her head: worn out, she's close to tears. The two of them continue on. Ulrich and Aelita stop not far from the tower. They stay hidden in the trees... Their POV: the bloks are still there... and XANA has concentrated his kankrelats all around. Thus access to the tower is blocked... Ulrich bites his lip. Ulrich: We'll never get through... I need the others! Ulrich: "The others"... Of course! Shot of the bloks watching the surrounding area, surrounded by patrolling kankrelats. Suddenly, Ulrich appears, dashing out from behind the trees, and weaving to avoid the kankrelats' shots. He heads straight for the bloks. But as the two bloks aim their lasers at Ulrich, "another" Ulrich appears and heads in the same direction... Then a third... Ulrich makes use of his bait. Not knowing who to aim for, the bloks fire at the Ulrichs, but in doing so, they provoke a massacre among the kankrelats —in their lines of sight— who aren't immune to "friendly fire". The kankrelats are also shooting at the Ulrichs. In the confusion, a bombardment of lasers is concentrated on them... Two Ulrichs are hit and disappear immediately, but the lasers, continuing on, hit a blok straight in the eye of XANA. The blok disappears. The second blok has no time to react: the last Ulrich —the real one— has reached it, and deals it a well-placed blow with his sabre, bringing it down. Taking advantage of the confusion, Aelita hurries, limping, to the tower. The kankrelats turn away from Ulrich to aim for the girl, but Ulrich, faster than them, intervenes, and manages to open a path for his friend. Aelita reaches the tower. Aelita gives a small, sad smile in return. Then she enters the tower. 19:40 The words Aelita addresses to Jeremie in the intermediary space were going to be more touching. He continues to drift, and fades into the fog... We hear Aelita's voice again. Aelita (pleading): Jeremie, don't leave me! Suddenly, Jeremie seems to react: he frowns and opens his eyes. Fitting on another screen, where all the lights are on alert. From the POV of the “something” seen earlier. The vision now advances to the bridge that crosses the river. 10:50 The heroes gang up to free Jeremy from the robot, rather than simply throwing a ball at it. Finally, the robot loses its grip and Jeremie frees himself. The group sprints away. Yumi points out the entrance to the gymnasium. 13:50 The scene below was deleted. Jeremie closes the lift's metallic curtain and presses the button to start it up. The lift begins to descend. Odd turns to his friend. Odd: You think XANA might have built the robot here?! Jeremie: Why not? Everything he'd need would be in the machine room! The clock hand reaches 15 seconds. Jeremie presses the large, red stop button. The machinery stops. The elevator car freezes. Odd looks worried. Odd: I hope the robot hasn't visited the factory... if you know what I mean! Jeremie: Oh I know, alright. Jeremie enters the code. The doors open and reveal the lab. The two boys look dumbfounded. Reverse angle of the partially destroyed consoles at Jeremie's command post. 13:30 In the script, Yumi and Ulrich destroy the first robot without enlisting Herb's help, or calling Jeremy. A scene with Jim followed. Ulrich and Yumi stop just inside the gymnasium. They're out of breath and watch the robot moving swiftly towards them. Ulrich turns to Yumi. Yumi quickly scans the gymnasium. Her gaze falls on the DIY corner, used by the competition teams to maintain their robots. Yumi look as though she's made up her mind. Ulrich frowns, not understanding where Yumi is going. But Yumi has already set off towards the DIY corner. Ulrich grimaces and rushes at the Robot, looking to attract its attention. Ulrich: You think you're so tough, huh! Hunk of junk! Over here! Ulrich fights reasonably well against the robot. The boy does dodges and jumps, but the robot's powerful arms brush right past his body as he begins to fatigue. At the other end of the gymnasium, in the DIY corner, Yumi has found a can of petrol. She seems satisfied. Breathless, Ulrich has more and more of a hard time dodging the Robot's attacks. Suddenly, Yumi's voice calls out. Yumi: Ulrich...! Over here...! QUICK! Ulrich puts the last of his energy into a mad sprint towards his friend, the Robot hot on his heels. Once Ulrich has reached Yumi, she leaps backwards... And empties the petrol can onto the floor. The Robot slips on the viscous puddle and momentarily loses control. It ends up barrelling straight into the wall. Yumi jumps up and disconnects the cable from the backboard of the basketball hoop... The panel quickly falls to the ground and... ...tears off the robot's head, leaving it to collapse, decapitated and inanimate. The lights and other diodes on the robot go out. It's visibly harmless. Ulrich turns to Yumi. Ulrich: Great job! It's out of action! Yumi: Come on! Let's get to the factory! Odd and Yumi burst out of the gymnasium and arrive in the hall. They immediately come to a halt. Indeed, before them is Jim, with Sissi and Herve by his sides. Jim: Ulrich! Yumi! What on Earth is that racket? Herve: Yeah! They made a giant, super dangerous robot! They should be severely punished! Jim points a menacing index finger at Yumi and Ulrich... when suddenly, the girl speaks. Yumi (to Jim): Uh... Herve is right, Sir! Herve looks stupefied... as do Jim and Sissi. Ulrich is also shocked by Yumi's sudden reversal. She carries on. Yumi (to Jim): It's one of Jeremie's prototypes... He made it for the robot competition! Ulrich: Uh... Right. Not such a terrible robot besides... it just gave up the ghost in the gym! Jim (to Ulrich): Ah... right. I see... So you'd better clean that up for me! I don't want to see a single screw from your protothingy! Jim turns on his heels and walks away with Sissi and Herve. Ulrich turns to Yumi and smiles at her. Ulrich: Good thinking on the prototype thing! Immediately, Ulrich takes out his mobile phone and enters a number. Ulrich (on the telephone): Odd? How are you doing? Odd has his phone to his ear. Odd (on the phone): Not so great! Xana made a robot on the assembly line at the factory... And he messed up all the controls. No way of getting to Lyoko! Aelita's all alone! Ulrich grimaces at Yumi to signal that things aren't going well at the laboratory. Ulrich (on the phone): The time's come to eliminate the robot! Ulrich hangs up. With Yumi, he heads back to the gym. Odd puts his phone back in his pocket and turns back to Jeremie, crouched beside the console, finishing up a patchwork repair. Aelita's concerned face is still on the laptop screen. She's also following the advancement of the repairs. Jeremie types on his keyboard... nothing happens. He hangs his head, a little disheartened. Odd places his hand on his friend's shoulder to comfort him. Yumi and Ulrich enter the gym. Before them, they discover a bizarre sight: the head of the Robot rolling across the floor and attaching itself to the dislocated body. Scattered mechanical pieces reassemble themselves... Ulrich and Yumi remain open-mouthed at the sigh of the Robot rebuilding itself piece by piece. It's furious. Yumi turns to Ulrich, panic-stricken. As the robot rushes towards them, Ulrich and Yumi exit the gym at a breathless run. 14:00 Following that and the resurrection of the first robot, a new scene brings us to Herb's solution. Ulrich and Yumi cut across the park, the Robot right behind them. As it goes, students flee and scream in fear. Yumi points to the science building. Our two heroes head towards the science building. Still running, Yumi and Ulrich climb the last stairs into the building. They close the glass doors behind them. They hide behind a pillar in the entrance hall, to catch their breath. Yumi: Yeah... and he's invincible! What hope do we have? Yumi doesn't have time to respond before the Robot bursts through the front doors, in a cloud of glass debris. Ulrich and Yumi withdraw to the central corridor and close its steel double doors. Bang! Already, a strike of phenomenal noise makes our heroes jump. Seeing the urgency, Yumi concentrates again. Yumi: Jeremie's too busy... (she seems to have an idea) But he's not the only one who knows about robots! Ulrich: Who've you got in mind? 14:25 The robot walks around while Ulrich and Yumi are blackmailing Herb. Yumi: It's a tremendous danger, Herb! The Robot walks mechanically, causing students to flee from its path. It arrives not far from the recreational quad. It sweeps the quad and suddenly spots Yumi and Ulrich. 14:50 Another scene is modified again, putting Ulrich's pencak-silat in the spotlight...or not. Yumi: Do you want us to show the tape to Sissi? She'll see what you really are: a nobody who can't win without cheating! Complete change of face for Herb, annoyed by the insult. Herve: OK. Do you have plans of the robot? She doesn't have time to find a response before metallic steps are heard in the quad. Everyone turns to look. Reverse shot of the robot, which has just entered the quad. Sissi screams in terror. Ulrich: You stay with Herve... I'll take care of this guy! Yumi grabs Herve and drags him behind her. Everyone starts to run. Shot of Ulrich taking Pencak-Silat stances and facing off with the robot. POV of the robot as it rewatches the body language Ulrich displayed earlier in the gym. This time, the Robot can anticipate and block Ulrich's arm with its claw. At the other end of the hallway, Yumi turns and, with horror, sees her friend's fight against the robot. The Robot makes a sudden movement that destabilises Ulrich. Ulrich falls backwards and his head hits the ground. He collapses, unmoving. At the edge of the quad, Yumi turns to Herve, her expression as grave as ever. Yumi: Hey, you'd better find a way to eliminate this horror! 17:30 With Ulrich already knocked out, the second confrontation with the robot (which is the only one in the animated version) happens differently, with a new protagonist. The Robot stands immobile in the middle of the park. Ulrich is still unmoving at its feet. POV of the Robot sweeping its surroundings and analysing the smallest sound. We see a bush. Yumi and Herve are hidden behind it. They're preparing to go when suddenly, Yumi opens her eyes wide. Reverse shot of Jim arriving before the robot at a run and planting himself in front of it. Jim: Get out of here, you hunk of junk! Jim does some warrior poses, Bruce Lee style and... Blang! ...With a nonchalant swipe, the Robot sends Jim flying. Then it goes back to its POV observation of its surroundings... All of a sudden, the Robot's POV stops and goes back: it's just heard and analysed Yumi's voice. Yumi (OFF, ON POV ROBOT SCREEN): Hey...! Can't you leave us alone for just one minute?! POV of the Robot, who spots Yumi and analyses her body. Shot of the outside, Yumi seems unaware of the danger and walks calmly towards the robot, like in a Western duel style. When Yumi gets within metres of him, the Robot seizes Ulrich's inert body with one of its claws and starts to tighten its grip around the boy's neck. Yumi freezes and raises her arms in a sign of surrender. Yumi is hidden in a dark corner of the shed. Ulrich is unconscious on the floor by her feet. Yumi tries to master her panic and catch her breath. The Robot advances with one loud step in the direction of the shed. The Robot suddenly stops. It turns its head: it has just noticed the presence of the Droid on its armour-plating. The Robot tries to throw the Droid off, but its arms, which are too short, can't reach it. The Droid continues to drill, with some difficulty. It manages to drill through the armour-plating and gets inside the robot. Mad with anger, the robot smashes open the door of the shed. The Droid's drill cuts small cables... creating a short-circuit. The Robot stops moving... and in a show of sparks, it ends up falling backwards. Yumi regains her breath and immediately moves to Ulrich's side. POV of Ulrich slowly coming to. Blurry vision of Yumi's face, becoming clearer. Ulrich leaps onto his feet. He's still in a daze. Suddenly, Herve joins them. Yumi turns to him and smiles. 19:00 On Lyoko, since earlier on in the episode, Odd had to escape 3 Bloks instead of two. The cartoon nevertheless added a number of small sequences on Lyoko to be strewn between Earth scenes. During these sequences, Odd and Aelita are mainly running away. 19:50 Ulrich made an audacious attempt on the robot in the script which didn't make it to the cartoon. Ulrich: You're going to be a lot slimmer after this one! But suddenly, the press abruptly stopped! Obviously, the machine is refusing to destroy the Robot. Ulrich looks annoyed. Worse still, as the boy watches on, the mechanical arms graft two bolt-shooting machine guns to the Robot's arms. Bang! Bang! Bang! ...Bursts of bolts explode all around Ulrich. Ulrich jumps and withdraws to the back of the room. He stumbles. The robot rushes at him, still firing. Ulrich curls up against a wall and closes his eyes. 20:25 The tower on the spinning platform didn't exist in the script, and neither are the Kankrelats that devirtualise Odd in the cartoon. As such the denouement on Lyoko was much faster, the action on Earth taking up the larger part of the episode. Cornered against a rock, Odd defends Aelita with his body and tries in vain to dodge the Bloks' fire. He arms his wrist and shoots. Nothing comes out. Odd grimaces. But suddenly, a fan spins into view... and hits one of the Bloks in the eye. The monster disappears. Aelita looks up. 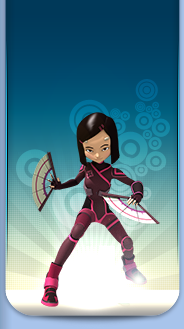 Yumi has just appeared above Lyoko. Still in midair, she catches her fan... and lands gracefully on the ground. Preparing her fan again, she signals to Aelita to run. Yumi: Go ahead! I'll take care of the last one! Aelita runs to the plateau with the activated tower. Yumi takes a defensive stance against the last Blok. She jumps in all directions, avoiding the enemy's fire. 23:00 The scene at the end of the episode where Sissi tells Herb off isn't present in the script. 06:30 The scene where Odd explains to Jeremy the relationship Ulrich has with his parents was supposed to happen while Ulrich was getting ready in the locker room! Ulrich, face hardened, crosses the stadium to enter the locker room. Students and parents are already in the stands. Some of them are making enthusiastic gestures at him but Ulrich doesn't even acknowledge them with a glance. Odd (off): His parents are coming to the game this afternoon. Ulrich enters the locker room. The rest of the team is already dressed and Jim walks towards him looking worried, undoubtedly because of his lateness. Odd (off): Have you ever met Ulrich's dad? If you're not first in everything, then you're nothing in his book. Now in uniform, Ulrich slowly buckles his cleats. He's alone. Jeremie (off): ...When he plays soccer. A silhouette appears in the doorway, observing him. It's Matt. The two teens stare each other down. Odd (off): Exactly! That's why he's been training so hard for weeks now. To him, today is more important than us or Aelita! 10:30 Jeremy needed more time to understand the target of XANA's attack. Jeremie types feverishly on his keyboards all while following the progress of the hacking Xana is carrying out on his network card. On one of the screens of his control console, we can still see Aelita's face. Aelita: Jeremie? What's worrying you? Jeremie: The speed. The electrical network is completely under his control and XANA's already creating overvoltage phenomena! Indeed, on the virtual cards the red influxes palpitate more and more clearly, encircling the school at the centre of a triangle of electrical tension. Jeremie: And I don't understand why XANA has limited himself to such a small zone - he's capable of hacking all the world's electricity networks at the same time! On the screen, Aelita is silent and pensive. Jeremie activates other programs, his expression appearing more and more worried. 13:00 Odd and Yumi's debacle with the Hornets was supposed to start earlier in the episode, immediately once they were virtualised. This served as a point of argument Jeremie used to convince Ulrich to come to Lyoko. Also, in the script, a number of Hornets launch themselves at the heroes like kamikazes. On Lyoko, the heroes engage in battle. Leaping out from behind a rock peak one after the other, Odd and Yumi are engaged on the bridge. Aelita takes refuge behind them. In the middle of the battle, things suddenly turn on their head. The hornets are behaving strangely, throwing themselves at their enemies like kamikazes, exploding on impact. Yet more of them appear as if from nowhere. Odd: What's wrong with them?! And where are they coming from?! Yumi: No idea! We've never seen anything like this before! Hit by several bits of debris and lasers, Odd and Yumi are soon forced to stop advancing and fruitlessly search for cover on the rock bridge. On the bridge, the situation worsens. Yumi is knocked to the ground under intense fire. Odd, who had tried to continue forward, is overwhelmed by the number and must soon break from combat. Three "kamikaze" hornets target him and rush at him. Yumi: Odd, watch out!!! Behind you!!! Odd dives forward, the explosions throwing him to Yumi's side, in a bad state. Increasingly violent energy discharges shake Odd and Yumi, overwhelmed by the fire from the hornets or by the shockwaves caused by the ones exploding all around them. Odd: Quick, Yumi! I'm running out of ideas!!! Taking a few steps forward, Odd does his best to push the enemy back while Yumi, using her power of telekinesis, seizes several large blocks of digital rock and manages to bring them to her level. She surrounds herself and Odd with them, like a sort of dolmen providing cover at opportune moments. Odd and Yumi's position is critical. "Kamikaze" hornets now rain like bombs between their rock cover and the mountains, cutting off their retreat. It's a big effort for Yumi to maintain her telekinetic field. Odd: We're trapped! We can't hold out like this for much longer! 16:50 A small deleted scene. Ms Hertz is still buried in her test tubes. Around her, the light bulbs flicker more forcefully now. 17:40 The spilling of chemicals in the science lab was supposed to create a small fire, probably not carried through to the episode due to production costs. 19:00 A funny scene taken out of the final version. Sissi was meant to lose a shoe in the gravity changes. In the tumult of the soccer game that is back in full swing - we see in the background a board displaying the score of two all – only Nicolas is turned towards the building of classrooms, visible from the highest seats in the grandstand. He sees the shards of glass and Sissi's pink shoe fall towards the sky. Herve (without turning around): What?! Nicolas turns towards Herve to shake him. So he doesn't see the shards of glass fall back into the light shafts at the top of the classroom building. Nicolas: But I'm sure of it, Herve...it was falling up! And so, when they finally turn around to check, nothing is visible anymore. Herve: When Sissi sees things that don't exist, I think she's too sensitive...but when it's you, Nic, I think you're just crazy. 21:00 A gravitational animation in the factory wasn't adapted. Also, the fall of Aelita's bait was modified. ...and see Aelita's broken virtual body plunge, spinning, towards the sharp edges of the digital rocks that litter the ground below... She collides with them and bursts apart like a stone statue. 22:00 A final scene that was deleted along the way: Jeremy in a full fit of hysterics. Aelita's hand types in the code LYOKO. Still levitating, Aelita spreads her arms. Suddenly, the image dissolves in a glimmer or blinding white light. 01:10 An interesting remark... At the same time he's deflecting lasers from the Bloks in the first action scene, Ulrich was supposed to be deflecting Megatank fire...and quite easily, too! The scene was also modified when it came to the role of each hero. Aelita dashes for the tower. Immediately, the megatank reacts by firing its lasers at the young girl. ...lasers which are immediately stopped by Ulrich's sabre, in a particularly efficient manner. At that moment, Odd leaps to the side, near the megatank, which wasn't expecting him to be there... The machine pivots to adjust its fire, but too late: a few well-aimed arrows get the better of the creature, which disappears. During this time, Aelita has reached the tower and is penetrating the interior. 02:40 An interesting change. In the script, the class the heroes return to was meant to be a maths class given by Ms Meyer. In the cartoon, it's a physics class given by Ms Hertz...but on the board during this class, we can see that the exercise is definitely a maths one. Also, Ms Meyer didn't appear until season 2. Yumi: Well guys? How was class today? With Ms Meyer? Ulrich: The same exact lesson as before the XANA attack...so it was twice as boring! Jeremie (to Ulrich, jokingly): Look...you're no better at maths because you endure the same class twice! 06:15 In the script we were supposed to see a spectre infect the Supercomputer. Shot of the deserted lab, with the supercomputer on standby (monitors off). The camera moves laterally through the room, until it frames one of the supercomputer's monitors. Suddenly, the monitor lights up, as if reactivating on an impulse. Only "snow" appears on the screen shaken by disorderly "drops". This is when a black, sprawling form surges out of a terminal: one of XANA's spectres. ...and reaches the supercomputer room. 07:40 The drinks machine was supposed to give out in a rather enviable way. As Herve watches on in surprise, Sissi heads over to Yumi, who is now alone after Jeremie and Odd's departure... Behind him, one last smack from Nicolas to the coffee machine causes it to spew out all its coins: JACKPOT! 09:25 The legendary conversation between Ulrich and Yumi is slightly modified. Here, Ulrich is more direct. Ulrich: Yeah! Like don't want me to be more than just a "friend" to you! Yumi tries to reply in the same tone, but she gets muddled up. Ulrich: Fine, let's be honest! ...what am I to you? But Yumi gets into a huff. Jeremie: Ouch!!! That dirty Xana! 17:00 Before the final battle in front of the tower, the heroes were meant to face off against a trio of Krabs...and get their fingers burnt, making a start to Ulrich and Yumi's reconciliation. Ulrich, Odd, Yumi and Aelita reach a platform featuring piles of pebbles. Two krabes suddenly appear behind the stones. Our heroes stop in their tracks. Ulrich: Oops! Here's the welcoming committee!!! Instantaneously, the krabes discharge their lasers on our heroes. Fast as lightning, Ulrich draws his sabre in order to protect Aelita, while Odd and Yumi lay down heavy fire with arrows and fans...which doesn't stop them from occasionally taking a hit from a laser. But a third krabe has discreetly slid behind Ulrich and Aelita. Yumi notices it. Meanwhile, Jeremie is following the fight on an interposed screen... The four heroes' life bars drop dangerously. Jeremie (concerned): Ulrich!!! Your life points!!! And please, watch out for Aelita...!!! Ulrich: It's all under control, Jer!!! Concentrate on the virus!!! Still while watching his monitors, worried, Jeremie starts typing feverishly on his keyboard again. Look at the result, he whacks his keyboard. Jeremie: Arghh!!! I'm never going to get it to work: XANA has completely wrecked the circuits!!! He starts to get up, but looks at the control screen, where the points representing his friends are battling with the red points of XANA's creatures. We hear them, off. Yumi (off): Odd! Don't use up all your laser arrows!!! Ulrich (off): Great job, Yumi! Meanwhile, the fight continues on Lyoko. Aelita has just been hit by a laser, despite Ulrich's defence. Continuity shot: Aelita's life bar, decreasing again. The others' aren't doing much better... Redoubling his efforts, Ulrich rushes at the attacking krabe, dodging the lasers it fires at him... He manages to deflect a laser straight into the krabe's eye, and it disappears. During this time, Odd is battling against another krabe. He suddenly stumbles backwards and falls. This doesn't escape Ulrich's notice. Rolling to the side, Odd manages to avoid two lasers, but he can't keep it up for much longer... The third is about to get him, but it's deflected at the last second by Ulrich's sabre. In a perfect Kendo movement, Ulrich approaches the krabe and delivers a fatal blow to its eye, which makes it disappear... Everything is calm... While Aelita runs up, Ulrich helps Odd back onto his feet. Ulrich and Odd lose their smiles, and also start looking around for their friend... A general shot shows us that the heroes are now only three... Ulrich's expression breaks. Ulrich: (more and more worried) Yumi...? YUMI!!! Ulrich can no longer speak. Yumi approaches Ulrich and puts her hand on his shoulder to calm him. Yumi (softly): Ulrich... I'm alright. Ulrich tries to recompose himself: visibly, he was very afraid. Yumi observes him out of the corner of her eye. She seems touched by Ulrich's reaction... Aelita approaches her friends. Aelita: We have to keep going... (to Jeremie) Jeremie, how are you doing? ...Jeremie??? 18:05 An interesting note from the writer to the director, showing us certain aspects that XANA's emanations could have taken on. 18:45 Same thing with Ulrich deflecting Megatank lasers at the end of the episode. Aelita leapt from her hiding place and hurried towards the tower. The megatanks "stabilise" themselves and put themselves back in combat position, ready to fire their lasers at Aelita. But they're disturbed by Ulrich and Odd's interruption (serving as human shields), allowing Aelita to pass (though Ulrich manages to deflect the megatank lasers with his sabre, Odd, on the other hand, is forced to dodge them using impressive leaps). 19:00 The final action is completely modified. The somewhat sadistic scriptwriter places Ulrich in a dilemma where he must choose between the lives of each of his three friends. But Ulrich's hand catches Yumi... Odd makes a prodigious leap into the air, just barely avoiding the megatank lasers... Aelita dives between the krabe's legs, dodging its attack (so she finds herself between the krabe and Odd)... By trying to hit Odd, the megatanks shoot each other and disappear simultaneously. Odd lands gracefully on the ground. The krabe turns towards Aelita. Odd fires a laser arrow towards the krabe. Aelita flattens herself to the ground. The krabe is hit by Odd's arrow right in the target. 20:20 The final scene with the kiss happened with torturous stretching out... And even the scriptwriter seemed to want to interrupt the action. They're both equally exhausted and relieved. They smile weakly at each other... Side by side, they're facing towards each other. They suddenly lose their smile and frown: they look at each other intensely, tenderly... Imperceptibly, their faces draw closer. Yumi closes her eyes... The two teens are about to kiss... At that moment, they're surrounded by a white halo, just before their lips make contact... Aelita has just deactivated the tower (yep!). Episode 23 - Rock Bottom? In the original script, Samantha was named Francesca! 01:00 The whole beginning of the episode was absent from the script, which started with Ulrich's slide in the corridor. Nothing about the party the heroes were organising at Yumi's house. Similarly, the scene where Jeremy searches for and finds Lyoko in the Network is removed, as well as Jeremy and Ulrich's chess game. Jim is seated at the principal's desk, looking serious. He's writing up a report. On the other side of the desk, Odd is seated on a chair, looking bored. Ulrich and Jeremie then burst into the room. Without looking up at them, Jim continues writing his report. Jim (still reading): ...in the act... (he glances up at Odd) ...of stealing a computer belonging to the establishment. 15:40 Samantha's rescue differed in one slight detail. The most probable explanation is probably the production cost of showing a character completely covered in mud, as Samantha would have been. The computer room is completely stuck underground. Daylight no longer comes through the windows, now covered in a screen of loose soil. Only the dim ceiling light persists, but it flickers occasionally, briefly plunging the place into darkness. Her hands spread against the door, Francesca pushes as hard as she can to try and open it. In vain. Francesca takes a step back and rams the door with her shoulder. It doesn't budge. Francesca gives up and rubs her shoulder instead. She stares at the door, discouraged, and her head droops. Suddenly, a worrying crack (off) is heard behind her. Francesca whips around and looks in stupor. Reverse shot: beneath the pressure of the mud, cracks are appearing in the window, and quickly lengthening, soon clawing over most of the glass's surface. Panicking, Francesca turns back to the door and delivers a series of violent kicks, which weaken it a little. Francesca: I've gotta get out! I've gotta get out of here! A much louder crack than the last ones warns Francesca that the window will give way one moment or another. A shard of glass falls to the floor. The hole allows a sliver of mud to ooze in. The window deforms in several places. Expression of terror on Francesca's face. A powerful tide of mud spreads into the computer room. Wading through the mud rising up her legs, Francesca manages to reach a cupboard and haul herself up on top of it. Powerless and terrified, she sees the level of the mud rise rapidly in the room. Francesca cups her mouth with her hands. The mud continues to fill the room. She crawls along the cupboard, soon reaching the handle, which disappears the next second. Ulrich and Odd jump the last few steps of the staircase to reach the corridor that leads to the computer room. Francesca (panicked): Help! Somebody help me! Odd and Ulrich sprint through the hallway to the computer room. Odd bangs his hand against the door. Odd: Don't worry Sam, we're going to get you out. Ulrich seizes the handle and, placing his food against the frame, yanks with all his might. He releases the handle and rubs his sore hand. Odd: Quick, Ulrich! Let's try together. Odd and Ulrich place their hands on the handle, one above the other, and start pulling together. The door begins to groan at its hinges. Odd and Ulrich don't give up. Their scrunched-up faces begin to redden. The lock gives way and the door opens. Immediately, a narrow torrent of mud spews out into the hallway. Ulrich blocks the door to stop the mud from spreading too far. Carried along by the mud continuing to spill into the hallway, Francesca crosses through the open doorway. Odd sharply takes her hand and helps her to her feet. On the verge of tears, Francesca stares fixedly into his eyes. Suddenly, she flies into his arms and kisses him energetically on the cheek. Ulrich is having more and more difficulty holding the door. He turns to Odd and Francesca, still wrapped around her friend's neck. Ulrich: Hey! I hate to bother you guys, but we've gotta get out of here! 16:30 The scenes where Jim is working out while listening to music were originally supposed to be scenes where he was working in the principal's office. 17:25 The Hornets weren't supposed to fire lasers originally, but stingers instead. Yumi is having more and more trouble blocking the fire. Protecting Aelita is her main priority. More stingers catch Yumi off guard, hitting her. From 17:00 A huge number of scenes were deleted or reworked. Ulrich, Odd and Francesca exit onto the roof of the science building through the small fire door leading to it. Panting, they stop for a moment to catch their breath. The edifice they find themselves on has been almost entirely swallowed up. The only thing still visible is its top, which continues to sink into the ground. Ulrich's telephone starts to ring. He takes it and looks at the screen. Ulrich's expression turns serious. Odd looks at him, frowning. Ulrich: No, it's you who's calling me! Surprise from Odd, whose eyes widen. His expression then turns to amusement. Odd: It's Jim! He took my cell phone! Ulrich lifts his phone to his ear. Ulrich: Jim, are you OK? (Ulrich becomes progressively more amused as he listens to the teacher)... In the principal's closet...? No, I'm not laughing (he covers his mouth with his hand to stifle a chuckle) ...We're going to come get you out of there... Stay put! Jim looks at the mobile phone with an expression of outrage. Jim: Stay put! What else could I possibly do, huh? Enraged, he punches the closet door. The shock causes the papers he'd placed to seal off his refuge to fall. The mud instantly infiltrates the cracks and flows into the closet. Panicked, Jim places a hand on his cheek. The roof of the science building where Ulrich, Odd and Francesca are only peeks out a few centimetres above the surface of the ground. Ulrich and Odd observe the main building, which is higher up but still sinking into the ground. Odd bites his lips as he watches the window through which he and Ulrich had ziplined to the science building. The climbing ropes hang limply down the side of the building, their ends having disappearing beneath the mud. Odd: We can't go back that way! We need to find another route! Ulrich: Listen... The only way to save Jim is to go to Lyoko and deactivate the tower! We need to get to the Lab...and the quickest way is through the park! Odd stands next to Ulrich and takes his own look at the park. Sucked in by the mud, the trees in the park have sunk down into it; only the ends of their highest branches are still visible, forming a sort of bayou forest. Odd: Using the trees, right? Ulrich: Yeah... Like good old Tarzan. Francesca, standing further back, has heard them and comes to stand between them. She looks at Odd and Ulrich in turn, interrogatively. Her gaze move in the same direction as Odd and Ulrich's. Reverse shot: only the highest branches of the trees in the park are now visible. Francesca expresses her discouragement. Francesca: Ugh! I'm fed up with acrobatics! Ulrich looks at her and smiles. Ulrich: Would you prefer a mud bath?! Odd approaches the edge of the science building roof. She mud begins to cover it. Odd selects a long branch jutting out of the muddy ground, about a metre from the roof of the science building. Odd jumps agilely to the branch and balances on top of it. He holds his hand out to Francesca on the edge of the roof, her feet sinking into the mud. Odd: Come on, Francesca! You'll be fine! Feverish, Francesca jumps. Her feet land on the branch, but she's unstable and staggers backwards. Odd catches her by grabbing her sleeve. Then, when she's found her balance, he takes her hand. Ulrich makes his own leap to the branch and lands without difficulty. Odd, Francesca and Ulrich quickly move along the branch to reach the top of the trunk of the tree, where the higher branches separate out. Using their hands to help, the three companions climb onto another branch on the other side of the tree that's sinking into the mud. Reaching the end of it, Odd reaches out with his free hand and grabs the end of the branch of a neighbouring tree. He places his foot on another branch situated just below it. Legs spread apart, each foot on the end of a branch, Odd helps Francesca to move from one branch to the other. Hanging onto him, she manages it without much difficulty. Odd moves onto the second branch. Ulrich copies him. Odd, Francesca and Ulrich move along the branch and, edging along the tree's branches, head to the other side to climb into another tree. Odd, Ulrich and Francesca are perched on a branch just above the entrance to the underground passage leading to the bridge. Odd jumps from the branch and lets himself fall onto the concrete cylinder sealed by the manhole. Francesca is about to jump, but stops herself. She turns to Ulrich. Francesca: You go! I'll go last. Ulrich jumps and lands agilely just beside Odd. The two boys look at Francesca. Odd gestures for her to join them. Odd: Quick, Francesca! The passage is sinking! The concrete cylinder is sinking rapidly into the ground. It will soon be covered in mud. Francesca takes a deep breath and leaps. She doesn't jump very far and misses the manhole cover. She lands on the muddy ground, which quickly inhales her. Submerged up to her chest, Francesca fights frantically. Ulrich, Odd and Francesca resurface on the bridge. Before continuing on, they glance back at the city. Reverse shot: the black stain has spread outside the school grounds. Already some buildings in the city have began to sink. Ulrich looks down and notices that the stain is spreading more and more quickly. It spreads across the ground and comes towards them. But, once it reaches the start of the bridge, it stops. Ulrich points to the ground beneath their feet. Odd and Francesca look down to the ground. Francesca: Why didn't the stain come any further? Odd, perplexed, frowns and thinks for a moment while watching the halted stain. Odd: Xana can't risk submerging the factory. If he does, he risks destroying the Super computer...and himself! Suddenly, Ulrich's phone rings. Ulrich pulls it out of his pocket and holds it to his ear. Ulrich: Jeremie... (He listens to Jeremie and starts to look worried) ... We're on our way! Ulrich looks at Odd and Francesca, who are looking at him apprehensively. Ulrich: Things look bad on Lyoko! We'd better hurry! Ulrich, Odd and Francesca run across the bridge towards the factory. 19:45 The Hornets breach Aelita's protection in a different manner. The Hornet Leader continues to pour its acid onto the rocky shell protecting Aelita. Affected by the constant heat applied to it, the rock starts to crack all over. The shell starts to crumble off bit by bit, until Aelita is exposed. Also, what's a Hornet Leader? Ulrich whips around and, brandishing his sabre, sprints towards the Hornet that just shot him. Still running, Ulrich multiplies. Behind him, the second Hornet flies after him. Once it's close enough, it starts firing. Its stingers hit some of Ulrich's clones, which instantly disappear. Ulrich tries to continue his run, but, reaching about a metre from the edge of the platform, he stops and jumps, spinning his sabre. The Hornet on his heels is sliced in half by Ulrich's blade. It disappears. The third Hornet flip-flops and attacks Ulrich by firing constantly. Ulrich parries the stingers with his sabre. Some of them, though, hit his last clones. Ulrich jumps to the side to avoid another Hornet rushing towards him. The Hornet passes just above his head. Ulrich tries to hit it with his sabre, but misses. At a distance, Xana's monster remains suspended in the air, facing Ulrich. Ulrich: Now it's just the two of us! Ulrich goes on his guard and awaits the creature's assault. But it doesn't move. Suddenly, behind Ulrich, the Hornet Leader surges out from beneath the platform and attacks Ulrich, shooting at him. Ulrich neither sees nor hears it. Odd witnesses the attack and tries to warn his friend. Ulrich turns around. Too late. Coming straight for him, the Hornet Leader projects a barrage of stingers at him. All the projectiles hit their target and Ulrich is devirtualised. Odd finds himself alone. The two remaining Hornets fly towards him, each one coming from a different side. Odd lowers his gaze to Aelita, still crouching behind the remains of the rocky shell. Odd: Take cover, Aelita! I'll take care of them! Odd advances slowly at first, while on each side the two Hornets close in on him. Suddenly, he breaks into a run, and leaps over the digital void... He lands on a small, rocky platform only about a few metres wide. There, legs spread and arms crossed, he awaits Xana's monsters. The two Hornets fly quickly towards him from either side. Odd is trapped between them, but he doesn't flinch. Now close enough, the two Hornets stop and fire at him. At the same moment, Odd executes a spectacular backwards somersault and dodges his enemies' shots, which are now in front of him. Having missed their target, the projectiles continue their opposing trajectories. One of the Hornets is instantly struck and disappears. The final Hornet, the Leader, swerves to avoid the stingers, collects itself and, continuing its movement, flies straight towards Odd while firing its stingers. Odd is hit several times. He grits his teeth so as not to cry out. He raises one arrow glove and remains still. The Hornet Leader continues its approach without ceasing fire. Odd takes a few more stingers, but despite their painful impacts, forces himself not to move. Jeremie (off): Odd, are you crazy? Get out of there! You're almost out of life points! Odd doesn't respond; he squints and remains concentrated. Odd (low voice, to himself): Closer! Come on, a little closer! The Hornet is now on him. It continues to fire its stingers at Odd, who can't avoid them. Odd starts to devirtualise when, at the last moment, he fires his last arrow at Xana's creature. The arrow embeds itself right in the centre of the Hornet Leader's eye of Xana, causing it to disappear. Odd disappears too. Initial scene: The episode didn't take place in the Ice Sector, but in the Forest. Odd is also more vindictive towards Jeremy. With Ulrich in the lead, the group composed of Odd, Yumi and Aelita suddenly leaps from behind a section of interlaced roots. Before them lies a sort of natural precipice with the activated tower on it, a little way off. A strong troop of monsters - Bloks - bar their way. But they're completely caught off guard by the suddenness of the attack. Ulrich's digital sabre makes a circular trajectory. A digital tree, sliced off at the base, topples over. It falls just at the right time to crush the Bloks forming the front line of monsters. Yumi continues the attack by concentrating her power of telekinesis. She uses it to create a bridge between the group of hour heroes and the tower. Odd takes Aelita's hand and leads her onto the bridge. The surviving Bloks try to stop them but are annihilated by Ulrich's sabre. The operation is perfectly co-ordinated. From his post, Jeremie follows his companions' progress. His gaze suddenly falls on a series of icons beginning to form. Jeremie: Watch out on your left! Odd frowns, anticipating the attack. Odd (to Aelita): OK princess, the home stretch! Still not stopping, Odd jumps again - by guesswork. Suddenly, a whole row of Bloks appears on the bridge. Their shots miss Odd, whose response is swift. Two of the three Bloks explode. Odd and Aelita fall back down onto the bridge, still under fire from the third. Jeremie (off): Take cover! It's too risky! Two lasers make direct hits on Odd. Jeremie (off): Odd! You've got no more life points left! Odd: Hey, Jeremie! Next time, just enjoy the show and let the real pros get the job done... OK? For a short moment, Jeremie is in shock. He can't believe Odd could speak to him so nastily. Obviously, Ulrich can't believe it either. Ulrich (off): Don't worry. He didn't really mean that... Did you, Odd? On the bridge, Odd has stood up and judging by his grimace, his words were indeed a little over the top. 13:45 A nice small visual element was removed when XANA talks to the Jim in the virtual world. The other Jeremie: We've got a visitor, Jim. The other Jeremie reaches for a dark corner of his room and a silhouette comes out of it...though it's not possible to clearly see whether it was hidden in a dark corner or if Jeremie pulled it from the shadow... It's Jim, but a Jim with eyes that are blank, white and lifeless. Odd: You didn't hear that? Ulrich: No. But everything here is strange tonight... Come on, let's go! The three of them head towards the secret passage in the park. The noise they heard was none other than Jeremie, with Herve, Nicolas and Jim hot on his heels. He notices the silhouettes of his friends through the branches. But at that moment, Herve gets him from behind. The two of them roll to the ground and mere chance allows Jeremie to escape the other. Already Nicolas and Jim have almost caught up to them. He has to continue running, no longer able to try calling out to his friends. 20:00 The final confrontation with XANA is modified. Suddenly, the first Jeremie BREAKS. In a stricter sense...it's a sort of spasmodic fashion while spouting a very bizarre litany of his own voice played backwards. But in his anger, his powers also come to light. His form changes, his eyes roll back and become entirely black, while his hair becomes charged with electricity and stands on end. He raises his hand towards Odd, Yumi, Ulrich and Jeremie like an orchestra conductor... His voice becomes stable - deep, loud, inhuman. XANA: You should not have defied me. Not here. Aelita has approached the translucent wall. She barely makes out the silhouettes of Xana and her friends through the thin membrane made to create the illusion in the desert. Aelita concentrates...and reaches out her hands. She touches the wall... At that instant, the bubble bursts into millions of pixels. Final scene: Like at the start of the episode, the final scene took place in the Forest, at the same place as in the start of the episode. It goes until the deactivation of the tower (which was generating the virtual bubble), the return to the past and Ms Hertz's class on Earth. Yumi: He locked us up in a virtual prison! Jeremie: ...And their powers? Did they have them? Aelita: Yes. But somehow managed to make them forget them by making them think they were back in the real world. (to Ulrich, Odd and Yumi) Now you have them back! Ulrich, Odd and Yumi look in front of them. Ulrich nods. Ulrich: Just as well! Here comes XANA's welcoming committee! Indeed, monsters are appearing in a disorderly fashion as an improvised defence for the activated tower. The three friends go on their guards. In the lead, Ulrich leaps and slices one of the digital trees with his sabre. The tree, severed at the base, topples over. It falls right on the Bloks in the front line, crushing them. Yumi continues the attack by concentrating her power of telekinesis. She uses it to create a bridge between the group of heroes and the tower. Ulrich: Go! We're used to this! It's a piece of cake! Go, Odd! Jeremie's gaze suddenly falls on a series of icons beginning to form. Jeremie: Odd! Watch out on your left! Odd (to Aelita): OK princess, like I said not too long ago...the home stretch! Still not stopping, Odd jumps again - by guesswork. Suddenly, a whole row of Bloks appears on the bridge. Their shots miss Odd, whose response is swift. The Bloks explode. Jeremie (off): Come on, Odd! Quit showing off! Odd (to Jeremie): Alright...I'll stop. Thanks, Einstein! The white flash emanating from the tower covers everything. The white flash dissipates. Jeremie is back in Ms Hertz's class. Around him, the usual CHATTER of roll call. Ms Hertz and her students (off): Herve? / Present, Ma'am. / Nicolas? / Here. / Sissi? / Present. / Jeremie? Jeremie whips around. Phew...Ulrich and Odd are indeed there, smiling. Odd (winking at him): Hey, that was great work! You were never better. Jeremie: Just need to see Yumi and then I'll really be reassured. The door opens - Jeremie, Odd and Ulrich turn around. Yumi stands in the threshold. The four companions exchange warm smiles. Ms Hertz: I know that! But I'm curious as to what you have to say to Odd and Ulrich that's so important! Jeremie: That they're my best friends in the whole world, Ma'am. The gang smile with delight. 1:00 The whole first scene where Jeremie runs a simulation and contacts Yumi doesn't exist in the script. 03:45 Odd gratifies us with an extra joke about Jim that didn't make it to the episode. Ulrich (concerned): We'd better be careful about Jim... If he keeps playing detective, he's going to find our secret passage! 09:00 Ms Hertz's class isn't the same. Also, Jeremy didn't need to take his laptop out because of Aelita's call, but to check if she was doing ok.
Quick shot of the teacher (Ms Hertz) who is explaining with the help of a diagram (drawn on the board behind her). Back to Jeremie, who is discreetly taking his laptop out of his backpack. Odd looks at him, intrigued. Odd (low voice): What are you doing? Mme Hertz: Obviously, this phenomenon depends on certain factors...who can tell us which ones? POV of Ms Hertz, sweeping the classroom with her gaze...and stopping on Jeremie, who is looking at something on his knees (his laptop). Ms Hertz frowns. Ms Hertz: Jeremie?! Can you answer? Surprised, Jeremie looks up while closing the laptop on his knees. He realises that everyone is staring at him. He bites his lips...and answers with the first thing that comes to mind. 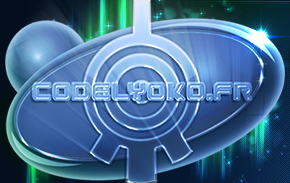 16:00 In the script, the Lyoko Warriors take their time before deciding to confront the Megatank. The way tower is once again violently shaken by a Megatank laser from outside. The four friends try to keep their balance. Odd, barely saving himself from falling, more or less stabilises himself. Aelita lifts her head and calls out. No answer. Yumi turns to her. Yumi: I hope he gets back before this tower turns to ruins! Ulrich: I think it's time to have a chat with this Megatank, don't you? Yumi and Odd nod decidedly. 17:05 Jim is a little more sentimental in the script than in the animated version. Jim: Jeremie...I...I want to say I'm sorry. Jeremie looks surprised. Jim continues, his eyes filling with tears as he speaks. Jim: I was so sure that you guys were up to something! That I guess I got carried away a little! 20:00 The fight with the Megatank was supposed to go on for longer, the heroes bring hit several times before being devirtualised. On the path, Odd, Ulrich and Yumi fight against the Megatank. Odd does a somersault...but doesn't escape the monster's fire. He twists in pain. Yumi already has her fan out. The Megatank turns towards her and starts to open to fire at her. Yumi turns on her heels and runs along the path. Ulrich, trying to reach the Megatank at a run, shouts, his sabre in hand. Too late...the Megatank fires. Yumi is hit in the back and collapses. The monster closes again. Ulrich finally manages to bypass it and plants himself in front of it. Ulrich: Hey! You, ball! Have you ever met my friends and I? The Megatank, furious, fires at Ulrich. He devirtualises; it was a clone. Ulrich (the real one this time) takes its place and jumps over the Megatank to try and plant his sabre in its target. Miss...the monster closed just in time. Ulrich falls back to the ground, beside Odd. Odd: I've always hated bowling! The Megatank has its sights set on Yumi again, as she's trying to retrieve her fan from the trunk of the tree. The monster opens...and arms its laser, targeting the girl. Ulrich and Odd widen their eyes, shouting. Yumi turns around. Too late: the Megatank fires. Yumi is hit and devirtualised. The camera re-frames the way tower in the middle of the arena of trees (still destroyed by the Megatank's shots). Jeremie's voice reverberates in Ulrich and Odd's ears. Jeremie (off): It's a long story. Too long...but I've got the program! The two boys exchange a look of joy... And they're no longer paying attention to the Megatank. Suddenly, a shot arrives and hits Odd straight on. Badly hit, Odd collapses on the ground. Ulrich rushes, brandishing his sabre, leaps, twirls in the air and hits the Megatank in the target. The monster disappears immediately. Pleased, Ulrich turns back to Odd, who is already back on his feet. Ulrich: Did you see that...? But suddenly, Ulrich's smile fades. Odd looks intrigued, looking at him. Realising that Ulrich has just seem something behind him, Odd turns around, surprised. He widens his eyes, horrified. A second Megatank has appeared and opened a few metres behind him. Odd doesn't have time to react. The monster fires...Odd is hit. Losing all his life points, Odd disappears. Then after his devirtualisation, he discovers Jim in the lab. Beside the tower, Ulrich faces off against the new Megatank, which opens before him. Exhausted, Ulrich throws his sword at the monster. He misses...and the Megatank fires. Ulrich is hit and devirtualised. Jeremie types at lightning speed on his keyboard, as Jim, Odd and Yumi watch on with worry. Jeremie: I'm almost ready, Aelita! Get into position on the platform! The door opens and Ulrich appears. He notices Jim and freezes in shock. Odd and Yumi turn around and make a gesture to calm him. Ulrich joins the group and eyes Jim, who amicably shoots him a brilliant smile. 21:50 An event was zapped during Aelita's materialisation. While the tower is visibly about to collapse, small beams of light appear and scan the girl from her feet up. The lights in the room suddenly dim, as if the energy had disappeared for a moment. Jim, Ulrich, Yumi and Odd look up, intrigued. Jeremie, who has his eyes glued to his screen (where a graphic shows Aelita's silhouette being slowly drawn, from feet to head) pays no attention to this phenomenon. The beams of light have finished scanning Aelita. She disappears as the tower collapses. On the screen, Aelita's silhouette is completely drawn. Jeremie turns to the rest of the gang. Heartstruck, Jim is already hurrying towards the lift to get to the scanner room. Jim: Quickly! We have to go see! The rest of the group look on in amusement before following right behind the gym teacher to the door. 07:25 A few lines about Aelita's virus were removed. Jim: Uh...is there anything we can do? Aelita: And it may be booby-trapped; destroying it may also mean consequences for my organism. Jim: This XANA's a really terrible guy! Jeremie types quickly, then hits “enter”. Jeremie: I'm starting up an analysis program. The computer will work autonomously on it until tomorrow morning. (turns to Aelita) I'll take you back to Yumi's. It's kinda late. 10:40 When the first Kankrelat is discovered at Kadic, Nicolas made an appearance in the script showing his character in a more positive role. Ulrich briskly closes the door and presses his back to it, to bar the monster's route. The teacher has hidden behind the desk, terrorised, but our friends have things under control. Odd grabs a desk and moves to the back of the room. Odd: OK! Don't panic! Take cover! But Odd has trouble moving the desk on his own. Surprisingly, Nicolas is the one who comes to help him. Nicolas: Didn't you hear him?? Go!! Everyone get to it!!! On this order, a few students start to move tables, chairs and cupboards to form a makeshift barricade at the back of the room. Odd takes the opportunity to rejoin his friends, who are forming a barrage in front of the door. SOUNDS and SHOUTS come from the hallway. Jeremie: XANA's changed tactics! He's sent one of his monsters to Earth for the first time! How did he manage that? 18:30 A few details concerning the modelling of the ice wall Aelita creates and the tunnel in the Ice Sector. Arriving not far from the monster, she throws her weapon. But instinctively, the Hornet turns at the last moment and dodges the fan by a hair. The weapon slams into the wall, making a hole large enough for the Hornet to slip inside. Which it does. Ulrich: You can do better than that!! However, the hole is too narrow to allow the two friends to enter themselves. So Ulrich starts widening it with slashes of his sabre. Aelita runs through a corridor with walls of ice. She makes difficult progress, because the corridor is on a slope and the climb is steep and slippery. She's quickly found by the Hornet, who tries to fire at her. Missing, it hits the ceiling, causing shards of ice to fall on Aelita, and making her progression even harder. Jeremie (off): Aelita? How are you doing? ?